So, you have some termite problem in your home and you are planning to contact some exterminator for termite control. If you are calling an expert for termite control then that would be the best thing for you. But before you do that, there are certain things that you should know before about termite control. 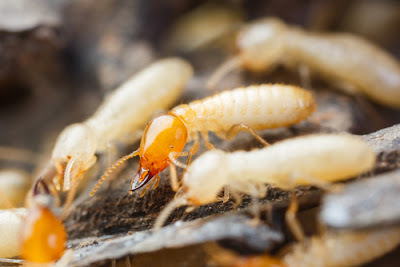 I am sure, most of you are not aware about things that you should know for the termite control, and that is why I am sharing those things below with you in a detailed manner. 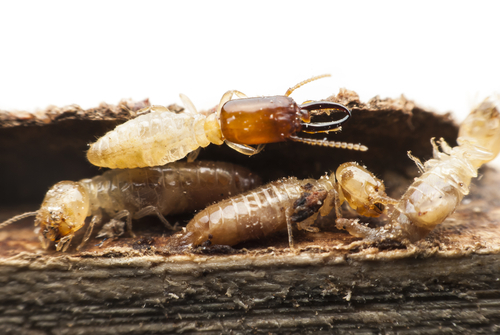 They love wood: You need to understand that if you have a lot of wood material in your home, then termite control could be a complicated thing for you. Along with wood they also like those wood products that are really easy to consume. For example, if you have a lot of cardboard laying here and there in your home or if you have so many books that are not placed in a secure position, then that would be a bad thing for you. In all those things or places termites can attack and they may remain hidden there. So, when you call someone for termite control then make sure you check these things or places as well. Ideally that expert should ask for such places in your home and if he is not asking this, then you should not hire him because probably he is not good in his work. Also, when that expert is done with the work, then you should check such places by yourself to make sure things are working as it should. Your construction joints: Joints in the construction of your building is one more place where termites love to make their home. These little creature make themselves very comfortable in the joints and the gaps with some dirty or mud like structure. In fact, they cover it so well that you may fail to know their presence at those places unless you see it carefully. If you will hire a good expert for the termite control work, then he will check such places in a careful manner. If he is not doing so, then you should talk to him and you should ask him to check the corners for termite presence. If he find out these small creatures are there, then that expert should take actions accordingly for termite control at those construction joints. Check your foundation: Checking the foundation of your home is another important thing that you should be doing for termite control. In your foundation you may see some tube like structures made of mud. If you see these structures, then that is a clear sign you have serious attack of termite in your home and you should ask your termite control expert to look into this matter as well. Ideally an expert in this particular subject would consider this as one of the most important places to look for termite presence before he takes any action for termite control. Also, if you want to check the activity level of termites in your home, then you can try breaking one small section of the tube without disturbing both the corners. Termites will seal this breach as soon as possible and if they are doing it very quickly, then you also need to act quickly for your termite removal actions. Check their presence sign: In your home, if you have termite problem then you may see their presence sign as well. Depending on the type of termite their signs could be different but when you call an expert for termite control, then you should tell those signs to him. If you see lot of ant wings like things in your home, then it could be a clear sign of termite presence in your home. Other than this, you may also see some tubes like structure in your home at certain place or some dust and dirt at a place even when you clean your house daily. You should report these issues or things to your termite control expert so he can do things to make your house free from termite. Ask the family safety: For termite control, many times they may need to use some harsh chemicals. That could be very much necessary as well for termite control, but when they use such chemicals, then you should ask for your family safety. If they are not able to give you an assurance about no adverse effect of chemicals on your family members or your pets, then only allow them to use it. If you don’t get any other option, then you should try to shift your home to some other place for one week or for few days depending on the effect of chemical fumes. That may sound a stupid idea, but that is what you have to do for better termite control and safety of your family as well. Although that kind of situation come very rarely and they use such harsh chemicals only if they do not find any other option. So, ideally you should not worry much about it, but talking about the same would always be a good thing for you and you should do that as well. In addition to this, you also need to understand that termite control experts are not magicians and they may not do magic for same. In some situation, they may fail to remove the termites from your home in first or second attempt due to low use of chemicals. We don’t blame the experts or exterminators for that because many termites are resistant to many mild chemicals or cleaning solution. In that situation exterminators need to use harsh chemicals for termite control. That is why once the experts are done with their work, you should keep an eye on the activities of termites for few days and if you notice any issue is arising, then you should call experts right away. That can keep you away from many future troubles and you can get quick results as well in almost no time.